Hyundai is creating a standalone luxury division that will use the Genesis name in an ambitious move that could bring the Korean automaker more profits, sales, and prestige. The Genesis division launches in December in Korea, followed by a rollout in other markets, including the United States in 2016. The brand will have six models by 2020. They will all start with a “G” for Genesis, then have a number, like 70, 80, or 90 to represent their segment, Hyundai said. The vehicles will also get more upscale design to differentiate them from other Hyundais. Luc Donckerwolke, a veteranVolkswagen Group designer who joined Hyundai earlier this year, will oversee a new Prestige Design unit at the company. The current winged Genesis emblem will be restyled and worn by all of the brand’s luxury vehicles. Hyundai says its new division will focus on technology, customer service, and will have “refined performance character.” The current Genesis sedan offers a 5.0-liter V8 that makes 420 horsepower. Naturally, Hyundai is optimistic for its new Genesis brand, but it will face immediate challenges as it enters a crowded and competitive market with a long list of entrenched competitors. Brands with storied histories like Cadillac and Lincoln have struggled recently, and even top-selling brands Mercedes-Benz, BMW, and Lexus aren’t immune to potential troubles. 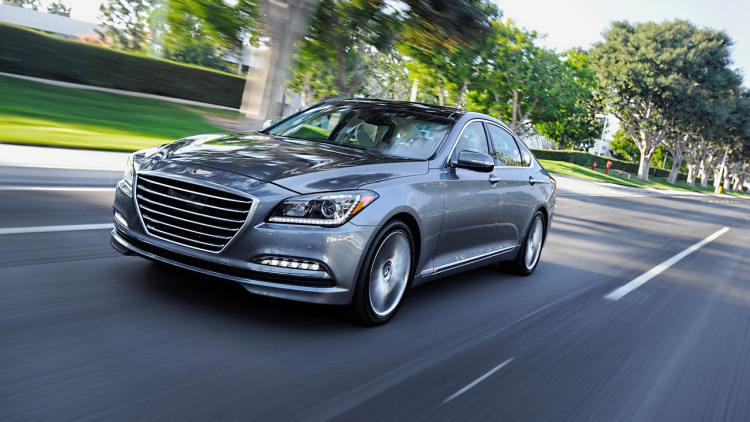 Rumors have persisted that Hyundai harbored luxury ambitions since it first launched the Genesis sedan in 2008.